It won’t surprise anyone who comes here often, that Hardwick Hall in Derbyshire exerts a powerful allure for this particular history junkie, combining as it does the attractions of a seriously grand Elizabethan great house, with an unsurpassed collection of historic textiles. 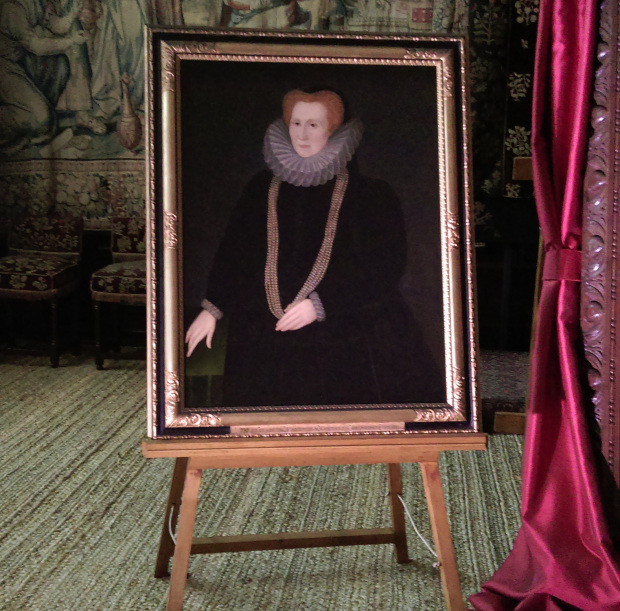 And perhaps adding the real cherry on top, is the fact that both the building and the textiles exist here today, due to the efforts and vision of one truly remarkable Elizabethan lady – the redoubtable, Bess of Hardwick. I don’t need much encouragement to go along to Hardwick, so when an opportunity came up at the weekend, off I went!